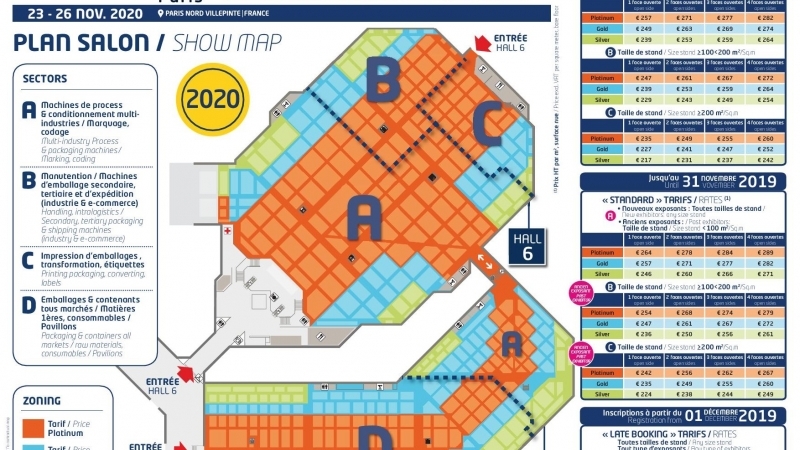 Discover the new location set up for ALL4PACK Paris 2020, the leading exhibition for the packaging and intralogistics ecosystem! OUR OBJECTIVE: SIMPLIFICATION AND OPTIMIZATION! ALL4PACK Paris is carrying out a profound reorganisation of its sectors to accompany market changes and better meet the needs of professionals. Clear offer, readable universes, fluidized path with 4 main sectors: Packaging, Processing, Printing & Logistics.